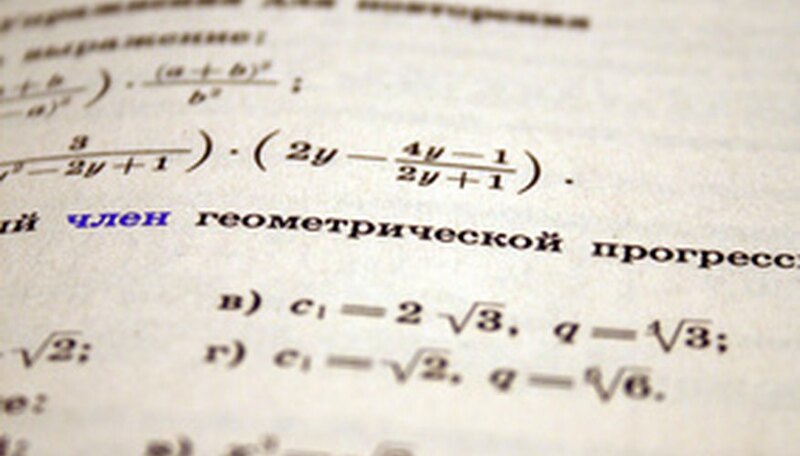 The substitution method, commonly introduced to Algebra I students, is a method for solving simultaneous equations. This means the equations have the same variables and, when solved, the variables have the same values. The method is the foundation for Gauss elimination in linear algebra, which is used to solve larger systems of equations with more variables. In the first equation, 1 is an implied coefficient for both x and y and 10 is the constant in the equation. In the second equation, -3 and 2 are the x and y coefficients, respectively, and 5 is the constant in the equation. Choose an equation to solve and which variable you will solve for. Choose one that will require the least amount of calculation or, if possible, will not have a rational coefficient, or fraction. In this example, if you solve the second equation for y, then the x-coefficient will be 3/2 and the constant will be 5/2—both rational numbers—making the math a little more difficult and creating greater chance for error. If you solve the first equation for x, however, you end up with x = 10 - y. The equations will not always be that easy, but try to find the easiest path for solving the problem right from the very beginning. Always double check your answers by plugging them back into the original equations and verifying the equality. D., Grant. "Algebra 1 Substitution Method." Sciencing, https://sciencing.com/algebra-substitution-method-5494682.html. 24 April 2017.